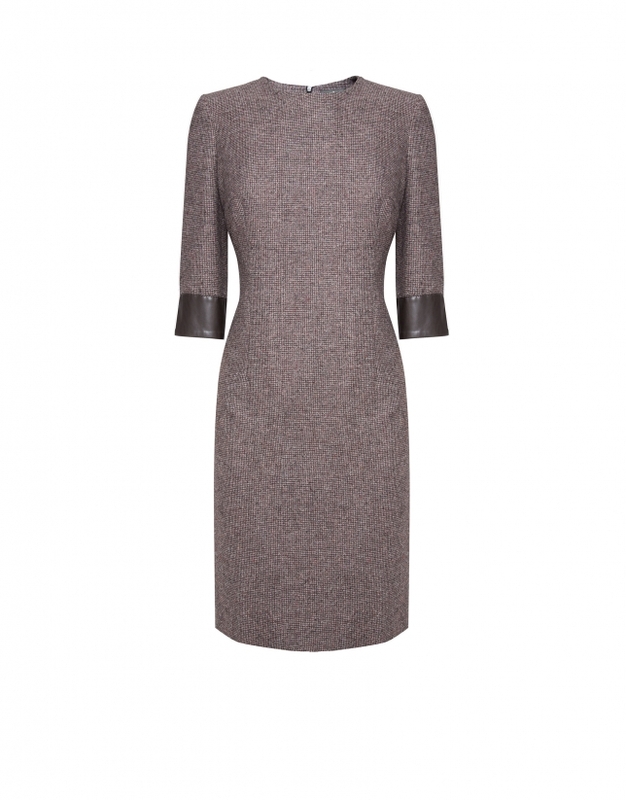 Brown cheviot dress with three quarter sleeves, round neck, leather cuffs, concealed rear central zipper and lining. COMPOSITION CLOTH: 41% POLYESTER; 21% WOOL; 21% ACRYLIC; 9% VISCOSE; 7% SILK; 1% ELASTHANE. 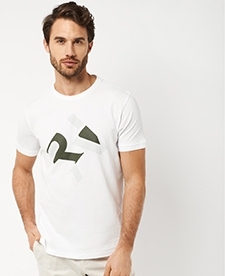 CARE INSTRUCTIONS: Hand wash; Do not bleach; Iron at Low temperature: 150°C; Dry clean; Do not tumble dry. Dry iron inside out.